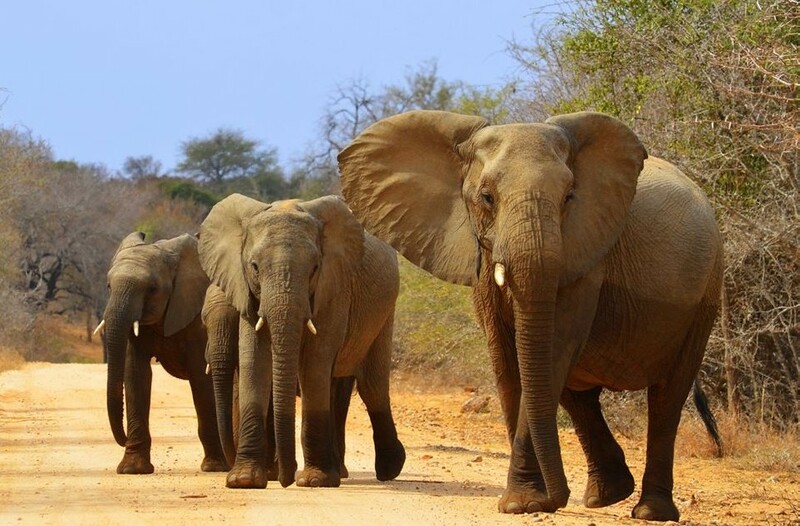 This Private Holiday package allows you to experience South Africa’s natural beauty, extraordinary wildlife, rich cultural diversity and fascinating history! 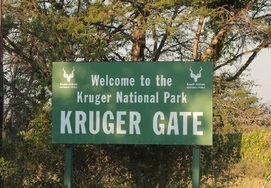 It covers five of the country’s provinces as well as Swaziland. 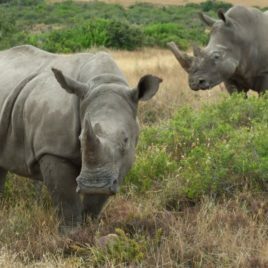 If you choose this touring adventure you can say ‘with authority’ that you have experienced South Africa to its fullest! 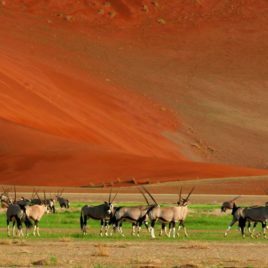 An itinerary designed in such a way that you will experience the best that SOUTH AFRICA has to offer over twenty one days of exciting touring. 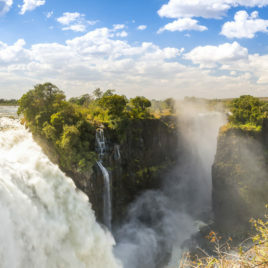 The aim of this tour is to give the traveler a solid cross section of the country with its natural beauty, extraordinary wildlife, rich cultural diversity and fascinating history! 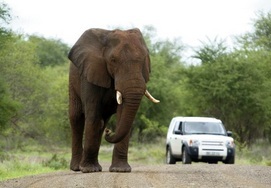 This holiday can be arranged as a Private Tour, Self-Drive or Group Tour! 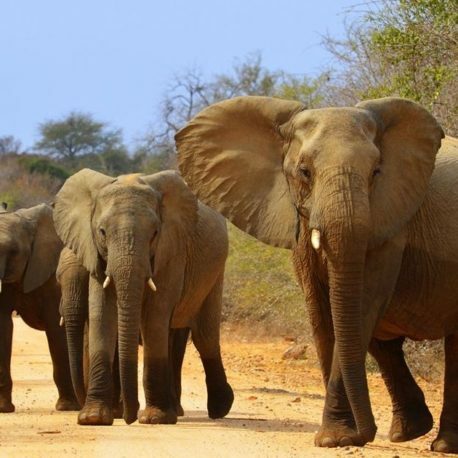 Today you are taken on a full day Driving Safari into the hart of the Kruger National Park where you are likely to see the big five and much more. 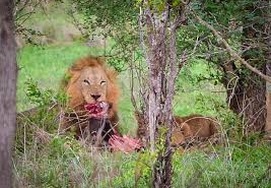 This is a unique experience and you will enjoy lunch while on the safari in the African bushveld. Your professional game ranger will be with you at all times. 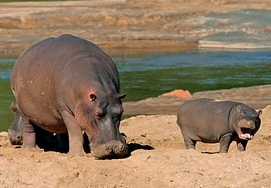 Other options is a shorter evening safari and an early morning safari allowing more time to relax at the Lodge. On your return you can relax with drinks before dinner which is at lodge boma. 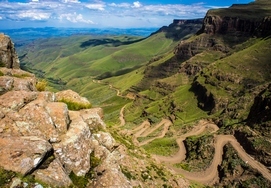 After breakfast we depart from the Drakensberg and continue to travel overland through KwaZulu Natal midlands and then on to the coastal city of Durban which is South Africa’s busiest port. We arrive at Durban in the afternoon, after check in you can relax before dinner which will be at a popular Indian Restaurant in the city. 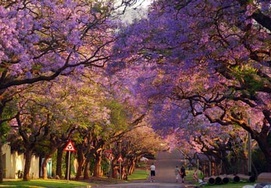 Your day in Durban consists of a guided city tour which will take in all the attractions of this great South African city. You will visit uShaka Marine World, Victoria Embankment and Warwick market which is the largest informal market in South Africa. A traditional lunch will be enjoyed at a city attraction. 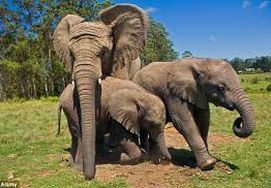 After your adventure you will be transported to King Shaka Airport for your flight to Port Elizabeth arriving in the early evening. 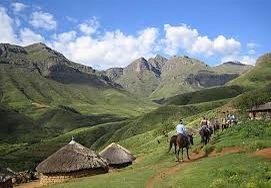 After breakfast we proceed towards the Garden Route. We visit the town of Jeffery’s Bay which is regarded as being one of the best surfing spots in the world. It is said to have the perfect beach break and a number of international surfing events are held here each year with competitors coming from all over the planet. 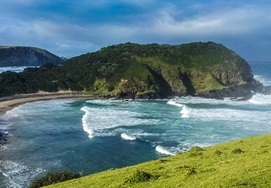 After a light lunch at Jeffery’s Bay we enter the Garden Route with the arid landscape changing to lush green fields with majestic mountains on one side and the Indian Ocean on the other. 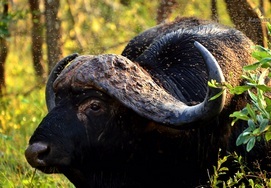 We arrive at the Tsitsikamma Forest in the afternoon. After breakfast a full day of amazing activities awaits you. 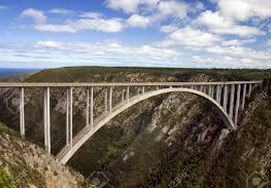 The Tree Top Canopy tour, the world’s highest bungee jump (218m) at Bloukrans Bridge, Storms River Mouth, Big Tree Hike and much more are all available just a short hop from your country hotel. 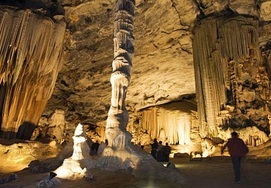 The day is spent visiting and participating in these unique activities, you are guaranteed to enjoy the activities immensely. After a late breakfast we depart the Tsitsikamma Forest and make our way further down the Garden Route. We stop at the Crags with its many factory shops and fine craft markets for a little shopping. 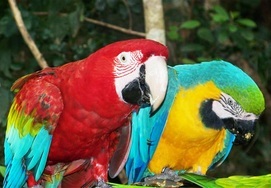 Then we visit Birds of Eden which is the world’s largest enclosed aviary. A visit to monkey land is also part of the experience. Lunch is at one of the many scenic places along the route. 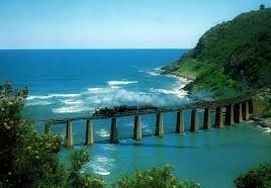 We arrive at Knysna in the afternoon. Once we have checked into the hotel we take you to the Knysna Waterfront for dinner where you can choose from one of many fine restaurants. 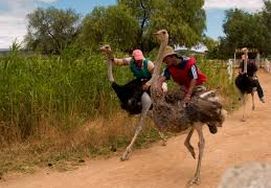 The morning activity is a visit to an Ostrich Farm where you will be introduced to these fascinating oddities of nature and even have a chance to ride one if you wish. After this we depart from Oudtshoorn and head south east across a mass of spectacular mountain passes with ever changing landscapes! Lunch is along the route at one of the many picturesque towns. 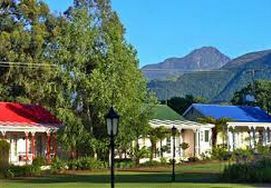 Our overnight destination is the historical town of Swellendam. On arrival you can enjoy the estate before dinner which will be at a recommended restaurant in town. An early breakfast and an early start as today you meet Great White Sharks in their natural environment, the South Atlantic Ocean. 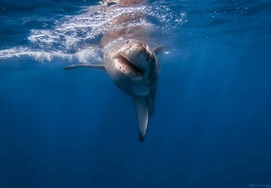 This stretch of the South African coast is home to the greatest numbers of white Sharks on the planet. The Shark diving activity takes half a day and once you return to shore you can enjoy some craft beer at the Birkenhead Brewery. 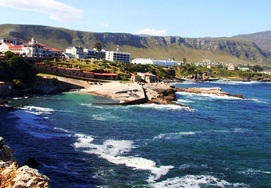 The afternoon is spent travelling to the seaside town of Hermanus where you will overnight. 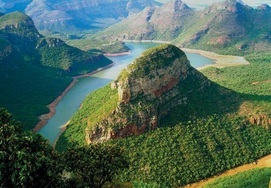 A full day tour of the Cape Peninsula with all its attractions. 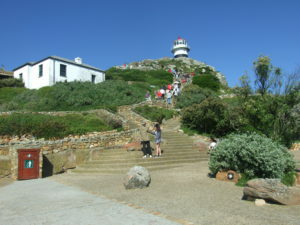 You will travel South along the Atlantic coast with stops at Hout Bay Harbour with an optional boat trip to Seal Island. Then there are the Penguins at Boulder s Beach and finally you arrive at the Cape of Good Hope where you have lunch and then the afternoon to explore the area. There are a selection of great hikes and the majestic setting is something to behold. You return to your hotel in the early evening. 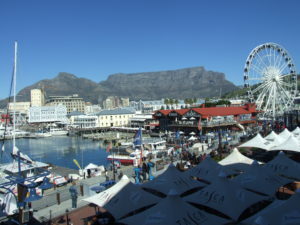 Dinner can be at the Cape Town Waterfront with its huge selection of fine restaurants! 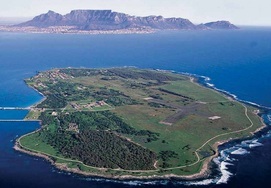 As this is the last day of your South Africa trip we have supplied you with a ticket to Robben Island which is a World Heritage Site and the place that Nelson Mandela was incarcerated for 18 years of his life. The Robben island Tour is conducted by ex-political prisoners who will give you a fist hand account of what it was like on the island during those dark years of apartheid. Depending on your flight departure time or weather you have added some extra days to your South Africa trip you are free to spend the remaining time at the Waterfront. This is your last day in Cape Town, depending on your departure time can be spend time at the V & A Waterfront doing a little last minute shopping or simply relaxing with a coffee and watching the busy harbour activity! When you are ready your shuttle will collect you from your hotel. With International flights you are required to be at the airport two hours before departure and for regional flights it is one hour. The trip from Cape Town to the airport is 40 minutes with a buffer built in.